Swing by your local Suburban this week to take advantage of 25% off all Cunning Stunts Clothing. Head over the road to Ammu-Nation for a 25% discount on all Ammo (excluding Mk II ammo). New Adversary Mode, and it's Epic fun!! 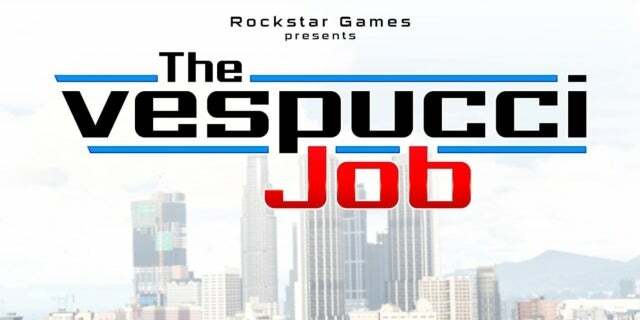 The Vespucci Job: either you’re the lunatic on the run in the new Issi Classic, trying to hit every checkpoint in time - or you’re a squad car right behind and looking to blow a lot more than the doors off. If you’re on the list, life is good. 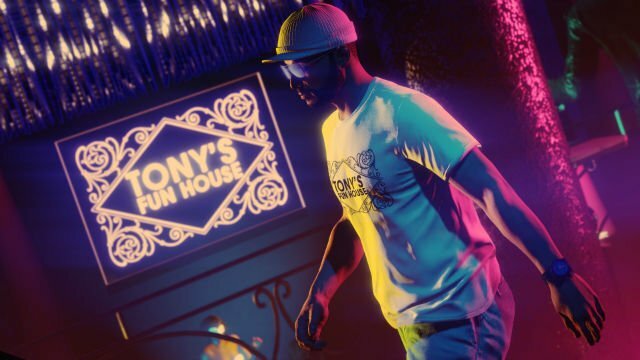 The champagne tastes sweeter out of crystal flutes, the music sounds better from the VIP section and there’s unfettered access to everything you need to have the time of your life at Los Santos’ hottest clubs. Get on the guest list for access to the best of LS club life along with extracurricular business perks. Log into GTA Online at any point between today and Monday July 2nd and you will be automatically added to the Guest List. As a thank you for joining the Guest List, return to GTA Online between July 3-9 and you’ll get GTA$300,000 and an exclusive Orange Wireframe Bodysuit (GTA$ will be deposited in Maze Bank accounts no later than July 9th). Stay tuned for more details around the upcoming GTA Online update including info on all of the Guest List perks and the weekly awards. Latest update includes a remix of the original SUMO. 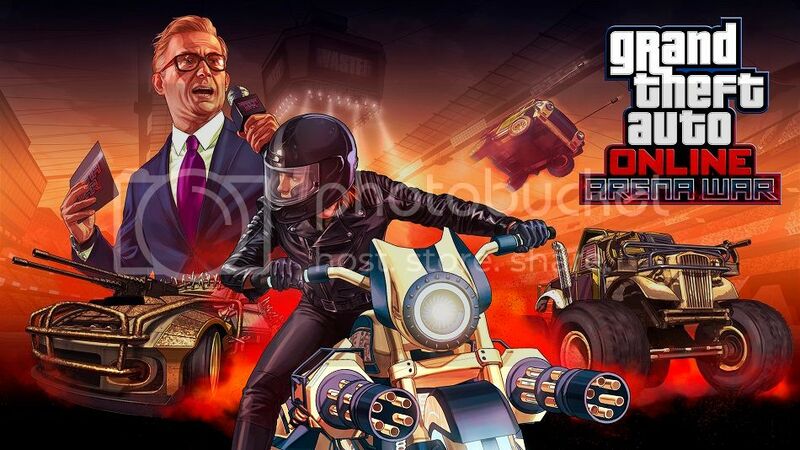 • DOUBLE GTA$ & RP for completing VIP/CEO Work & Challenges, Gunrunning Sell Missions and Weaponized Vehicle Missions. • 30% to 35% OFF the Dewbauchee Vagner Super Car, TM-02 Khanjali Tank and more. Enter Arena War, where ruthless gladiatorial combat meets the bleeding-edge of vehicular modification technology in one spectacular – and highly combustible – competition. Sign up and embark on an entirely new career under the stratospheric dome of the Maze Bank Arena, one that involves turning your opponent’s brains into pulp on the steering wheel in the name of entertainment, courtesy of Alan Jerome Productions. Compete in all new vehicle types custom built for the Arena across seven explosive new modes. As your Arena War career progresses, you’ll earn Arena Points and use them to rank up and unlock even more toys to take into the Arena or out onto the streets. Arena War is coming tomorrow, Tuesday December 11 to GTA Online. 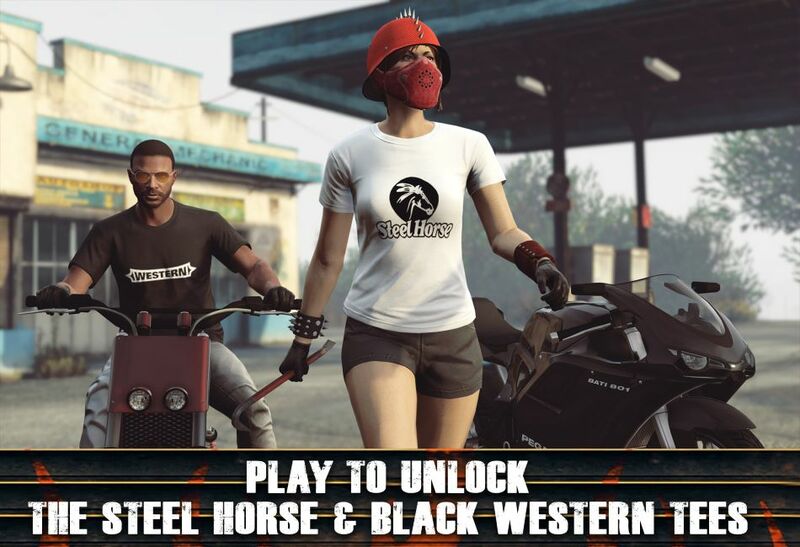 And in addition to double cash on all Biker Business sales, challenge a rival MC to a Joust or wreak havoc with your MC in Search and Destroy with all Club Work and Challenges paying out 2X GTA$ & RP all week long.